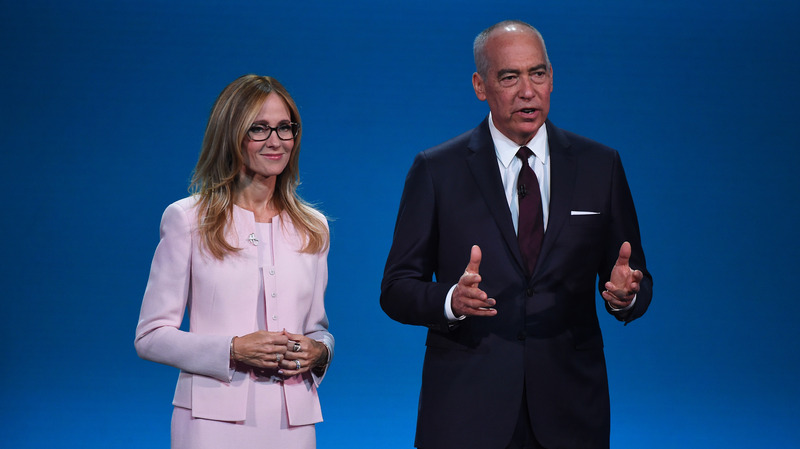 Fox chiefs Dana Walden and Gary Newman said next season's audience will be "bigger and broader." Fox Broadcasting doesn’t know whether it will still be a part of 21st Century Fox by this time next year—if the Disney-Fox deal closes, it will be spun off into a company called New Fox—but the network shared its plans for its own future with buyers at today’s upfront presentation. That pivot began with two big pickups for this fall: Thursday Night Football, which Fox landed for the next five years, and Last Man Standing, which the network picked up one year after ABC canceled it. That’s a surprising mantra for a network that years ago stopped reporting live-plus-same-day ratings, explaining that they were no longer an accurate representation of viewing patterns. Joe Marchese, Fox Networks Group’s president of advertising revenue, kicked off the presentation with his sales pitch, promising to bring advertisers “closer to the drama, closer to the laughter, closer to the competition” with new innovations like JAZ pods, which his company had begun to discuss with buyers this spring. The event’s pacing felt sluggish, thanks to multiple presenters who tried to stay onstage as long as possible, including Jamie Foxx (who kept trying to liven up the crowd by having the DJ play music he thought they might be interested in), the Fox Sports crew (which at one point spent a considerable amount of time discussing the eagle that Terry Bradshaw had purchased in New York that day), and The Four’s Diddy, DJ Khaled and Fergie (whom Dana Walden almost had to drag off stage at the end of their segment).